Rachel completed her B.S. in Agricultural Science in 2016 in her home state of New York. 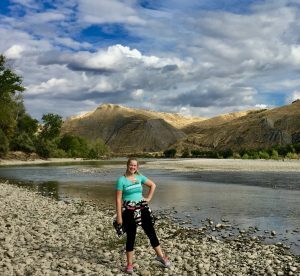 After graduating she sought to challenge herself by conducting research in dryland agricultural systems of Eastern Washington. She began her research in Dr. Tao’s soil fertility program in Spring 2017. She was fascinated by the Palouse landscape and was inspired to study how restrictive layers in the soil, such as Fragipans and Argillic horizons, impact wheat growth and nutrition. Rachel’s joy for the inland Northwest extends beyond her research. 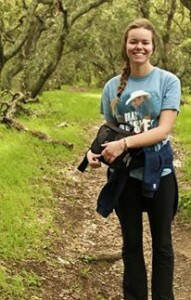 In her spare time Rachel enjoys backpacking, painting, and cooking with others. I grew up here in Pullman and attended WSU, where I majored in Environmental Science and Spanish. 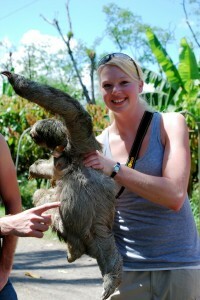 I am interested in studying ecosystem services. I come from a small farming community nested in the “hill country” region of central Texas, but completed my undergraduate education in Reno, NV. At the University of Nevada, I graduated with a B.S. in environmental science, and focused on soil science, environmental chemistry, biofuels synthesis/production, environmental policy and regulations, and community outreach. After working with indigenous groups impacted by environmental degradation through large-scale mining, in both Nevada and western Africa, I ultimately decided soil science and resource conservation were the logical foundations to center my studies on for my Ph.D.As part of the Low Impact Development research program at WSU, my research will focus on the use of iron-gluconate amended compost and its ability to mitigate the impacts of agricultural land runoff through the adsorption of xenobiotics, excess nutrients, and arsenic, with the main focus being the speciation, fate, and transport of arsenic. As I was born and raised in the Great Lakes state, I’ve always been aware of the importance of environmental conservation and sustainability, as well as the stunning beauty that nature has to offer. My interests led me to receive a bachelor’s degree in chemistry, with two minors focusing on environmental sustainability, technology and policy at Michigan State University. While finishing my last year of school, I worked in the MSU Soil and Plant Nutrient laboratory where I was exposed to the fascinating world of soil and crop science. Now that I am at WSU, I plan to maximize the experience of my unique background to make advancements in soil health and fertility in the Pacific Northwest. Growing up on a farm in rural Minnesota has made a substantial impact on my academic interests. With my life-long experience in agriculture, and the passion for biological sciences I accrued during my undergraduate education, I decided to devote my future studies towards microbiology in agriculture. This led me to a M.S. in Animal Science with an emphasis in ruminant microbiology at South Dakota State University. To broaden my skills and education, I decided to attend WSU starting in the fall of 2017, and focus my doctoral research on rhizosphere microorganisms and their effect on crop productivity. Specifically, I will be working on characterizing metal and micronutrient transformations by the rhizosphere microbiome and phytobiome that enhance plant nutrition and crop yield. I was born in a small town in Nanyang, China, a city full of history and beautiful scenery. 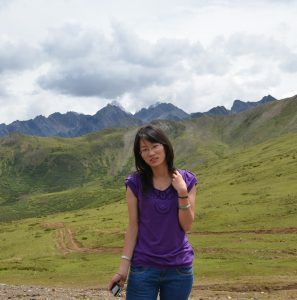 My passion for plants and nature lead me to higher education regarding natural resources management for both of my Bachelor degree (Northwest A&F University) and my Masters degree (Institute of Soil Science, Chinese Academy of Sciences). What I observed during my courses field trip in 2012, impressed me so much because it is so difficult to find a clear river without pollution caused in most part by the unsustainable development of the crop lands. 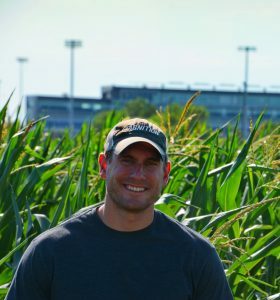 I came to WSU to Dr. David Huggins’s Lab in the Fall of 2014 to focus on my research interest of carbon and nitrogen cycling in soil and try to find some practical and meaningful solution for sustainable agriculture development. I like drawing, playing badminton, running and reading, and sometimes I like cooking, but it depends on my mood. Marissa Porter is a Soil Science Master’s student at Washington State University. She completed her undergraduate studies at Marist College in New York, receiving a Bachelor of Science in Environmental Science. 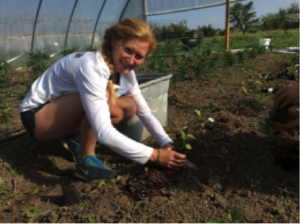 Before beginning at WSU in Fall of 2017, she spent the summer working vegetable farm in Colorado. 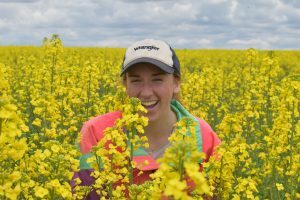 Her research focus is on nitrogen use efficiency of canola, a relatively new crop in the region. Her project will improve the fertility knowledge of canola, helping to integrate it as a rotational crop in the winter-wheat summer fallow cropping system that dominates eastern Washington. After finishing my B.S. 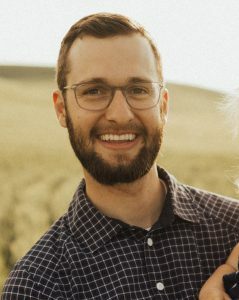 in Microbiology and chemistry at BYU, I started my M.S. Degree in Soil science at WSU in Aug. 2014 with Dr. Dave Huggins. 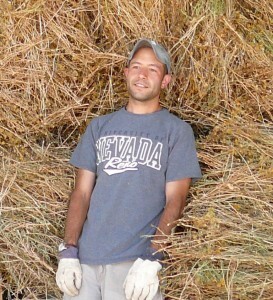 My work there focused on evaluating site-specific nitrogen fertilizer management in dryland winter wheat. After completing my masters in Aug. 2016, I went directly into my Ph.D. program with Dr. Markus Flury. My research with Dr. Flury examines the potential for and impact of plastic pollution in sewage-sludge (biosolids) amended soils. We are looking at the accumulation and potential for movement of nano- and micro-sized plastic particles in agricultural soils. Additionally, we are looking at the accumulation and molecular associations of silver nanoparticles in these same soils over time. As part of the WSU-PNNL Distinguished Graduate Research Program, I collaborate with researchers at Pacific Northwest National Laboratory in Richland, WA, where I live with my wife and two children. I was born and raised in Minnesota where I grew up loving just about anything to do with the outdoors. The most influential experiences from my undergrad include the semester I spent in Costa Rica conducting research on an organic cocoa farm. That semester provided the springboard to further research in agricultural systems once back in Minnesota, which transformed into another influential experience as I developed relationships with local farmers and organizations to promote on-farm research trials.I am interested in studying various practices that can make agriculture more sustainable, especially as related to nitrogen management. My research is focused on introducing organic quinoa as an alternative crop for the inland Pacific Northwest. Specifically, I will examine the ecological and economic impacts of incorporating quinoa into organic rotations with other crops common to the region. I will begin my PhD program in soil science under the supervision of Prof. Markus Flury at WSU. My research project will focus on transport of nano- and microplastic particles in unsaturated porous media. In this project, I will explore how nano- and microplastic particles will move through porous media and what the effect of the air-water interface is on transport of these particles. I have obtained a Master’s degree of Science in Hydrogeology from China University of Geosciences-Beijing and a Bachelor’s degree in Hydrology and Water Resources Engineering from Shandong University of Science and Technology. I had been a lab technician at China University of Geosciences-Beijing from June 2016 to April 2018, under the instruction of Pro. Qiulan Zhang. During that period, I had worked on designing and improving colloid transport experiment, and analyzing and recording test data to issue reports using charts, graphs and narratives. In my spare time, I love reading novels, especially historical and science fictions. I also like swimming and playing table tennis.